What Makes Utility Survey Corp. Different? Providing utility locating and related services is nothing new for Utility Survey Corp., in fact we have been in the business for almost thirty years! 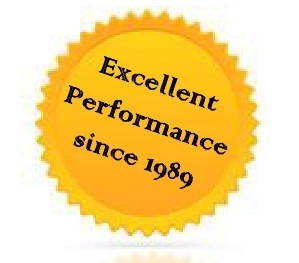 Our main focus almost 30 years ago started as a water leak detection company. We saw there was a need in the industry to locate not only the utilities for use inwater leak detection, but also saw that there was a wider demand for private utility locating services in general. Our goal then became to not only offer services for an up and coming underground utility locating industry but more importantly to educate our clients on the potential dangers of doing any type of digging, cutting or coring with out first knowing what was below. No Gimmicks, No Short-cuts, No Hidden Costs! What does that customer service look like? We have a real office with real people answering the phones...who can provide you with an immediate verbal or written quote and get your jobs scheduled right away. What we quote is what you pay and we show up at your job site when we say we will. Our service vehicles are fully equipped with everything needed to do the job which means your job gets done properly in the time-frame specified. We never leave the job incomplete and promise to come back with different equipment at a later date. We locate buried utilities with conventional pipe/cable locators and ground penetrating radar (GPR). We also use GPR to find tanks, other large objects and features and for scanning concrete structures for conduits, rebar, post-tension cable, delamination and voids, etc. Water Leak Detection - In the 80's we started using the then newly invented leak noise correlation computer for pinpointing leaks on underground water pipes - and we still do that too. We can map all utility information if you need it, plot it precisely with GPS and create new, or modify existing, digital drawings and Google Earth maps. After all this time, here we are...Utility Survey Corp.
Just a quality, comprehensive, reliable service that has served thousands of customers. Reducing the Risk of Utilities & Other Unexpected Underground Encounters!